My latest performance video. I’ve got the world on a string. The show this year is this Thursday at 7 pm. 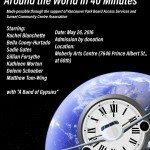 This year’s Adapted Musical theatre Company presentation is this coming Thursday at 7:30 P.M. at Moberly Arts Centre. As well, we will be running a summer week long camp style intensive program. Aug 8-12, which will feature a Friday afternoon (Aug.12) show at Moberly at the end of the program. If you have students or clients who would be interested in the summer program, the Thursday night show will be a great preview of what the cast accomplishes. Age range is 13-21, and the program is co-ed. Here’s a link to it. As we close the show for this season, it’s a time for reflection. Last night the PA failed, and the audience didn’t notice. Why: because the cast is so pro. The community theatre players and Equity actors all supported one another through a difficult situation in a way that world leaders should. It’s been a blast. On a recent visit to New York we stopped at Sylvia’s for Sunday Brunch. The menu made cholesterol go up, while the impromptu choir made my heart sing. 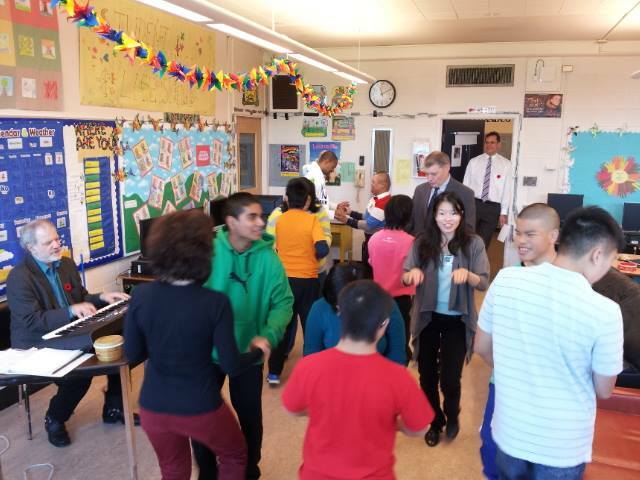 Steve Cardwell, the Superintendent of the Vancouver School Board visited Windermere Secondary, and heard the music down the hall. He dropped by to say hello and joined the festivities. He got the red tambourine and enough good groove to get him through the day. Later, he joined us on the dance for floor for the cha cha cha. 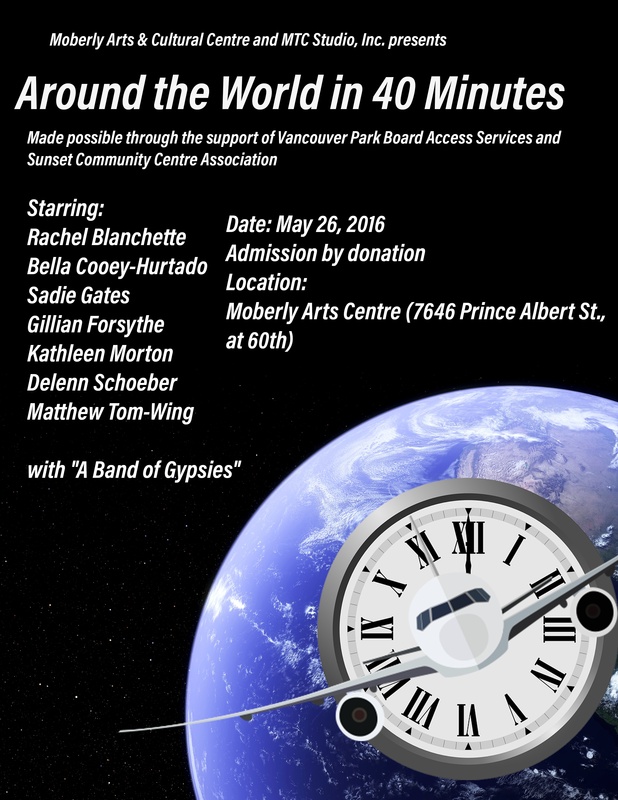 This summer, MTC Studio Inc was honoured to receive a Bandwagon grant to record a very special rock band project. 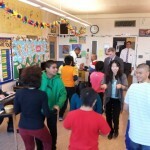 The Musicsharesociety helped out by funding some rehearsals, a recording engineer and some guest clinicians. We had a blast, and the songs are elsewhere on the blog. The kids are back from summer holidays, and they had a chance to reflect on that experience. Ah. Just when I thought I had finished, I wasn’t. But I replaced a few video clips that didn’t transfer properly. The final tune from the Bandwagon project is the perfect 1 chord song – Everyday People. Thanks to Gordon Clark for steering that one my way. I included some shots from a New Orleans Mardi Gras Indians parade, as they really have the notion that we are all Everyday People. Jack used his guitar session with Ron Thompson to good use in getting a solid rhythm groove going, and K.N. added some clavinet. Seth sequenced his bass line and learned about MIDI editing. Conor and I picked up the pizza after he nailed the drum groove that Mitch Lazer had shown him, and it was a wrap. 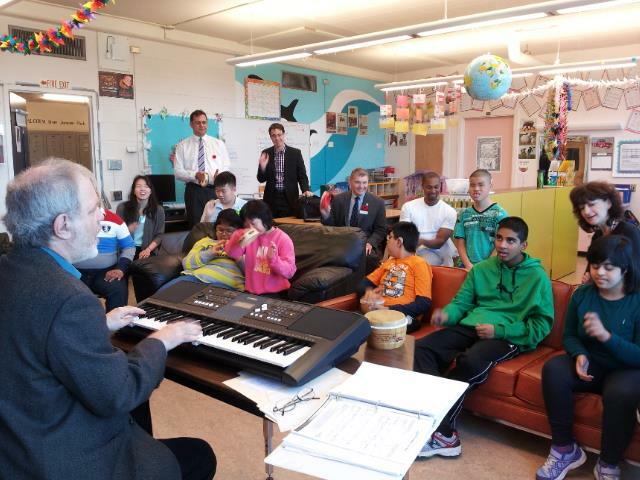 Big thanks to Musicsharesociety and recording engineer Erik Olson, MTABC, The Music Therapy Ride and the Music Therapy Trust Fund for making this adventure possible. Jack captures the essence of the song in this performance – all too often things go beyond sorry – of the Elton John song. Big thanks to Mitch Lazer for coaching Conor on building the drum part on a pop ballad. Seth plays a simple but effective bass line to make the drums build the song and K.N. plays Elton’s piano part and the string lines to tie it all together. With cooperation like that, we’d never need “sorry”. This is tune number 3 of the CMTTF Bandwagon project. These kids learned so many social skills in getting this project done. Cooperation is central to putting a band together; it always amazes me that music education is so often on the chopping block in schools. These kids with their diverse talents really pulled this together.